Following recent inquiries from France's DGCCRF and the U.S. Senate Commerce Committee, a Chinese watchdog is now questioning Apple over its dubious practices of slowing down iPhones with aging batteries without notifying affected users. The Xinhua state news agency reports that a Chinese consumer group has sent a letter to Apple, demanding additional information regarding the company's "throttling" practices and how it plans to address the issue in the future, requesting an answer before January 19. The query comes from the Shanghai Consumer Council, which claims it had received "2,615 complaints about Apple products and services in 2017, compared with 964 complaints in 2015," which prompted action from the non-profit watchdog, Xinhua reports. Following revelations regarding Apple's practices of slowing down devices due to battery wear, the company last month started offering $29 battery replacements—a $50 discount from the usual price of $79—which prompted resentment among many who'd paid the full price earlier. Apple has already said in its official apology regarding the "throttling" debacle, that slowing down the processor of iPhones with weakened batteries is not being done in order to force users into buying a newer phone, but is instead a way of preventing unexpected shutdowns of devices with an aging battery because the cell cannot handle more power-demanding applications. 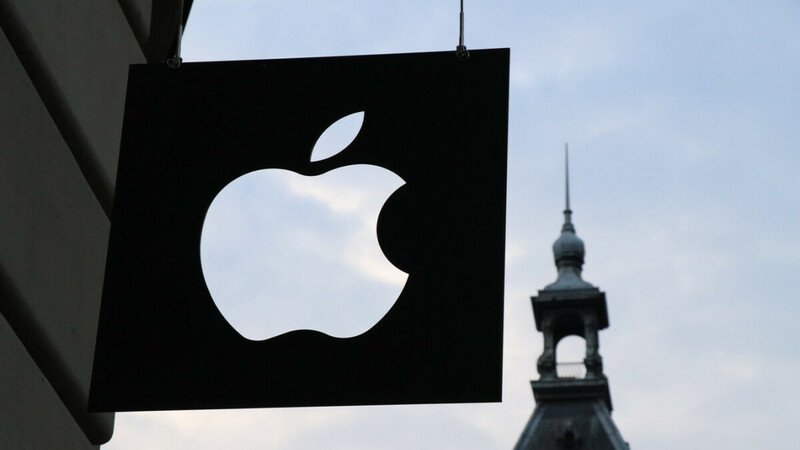 However, Apple's clandestine handling of the situation, without notifying affected users, has prompted a huge backlash against the company, with Apple already facing multiple class-action lawsuits in the United States over the same issue. "... which claims it had received "2,615 complaints about Apple products and services in 2017, compared with 964 complaints in 2015" I'm impressed. What do they really expect Apple to say . It's been done. They messed up . Best thing Apple can do now is give users the option of Performance/battery life in their future updates. Apple is just too damn controlling. Let people use their phones how they want. Why do you need to choose between performance and battery life when you can pay Apple to do that for you? "Apple has already said in its official apology regarding the "throttling" debacle, that slowing down the processor of iPhones with weakened batteries is not being done in order to force users into buying a newer phone". That doesn't make it true, Apple. You have a whole bunch of annalists, probably the best in the world. You knew that without informing the customers, lot of them would rush to buy a new iPhone as soon as their one year old iPhone shows noticeable slowdown. "However, Apple's clandestine handling of the situation, without notifying affected users, has prompted a huge backlash against the company" That is not the worst part, they were asked many times if they slow down devices to which they always replied that "Apple would never slow down it's phones" They have always stuck to this line until actual evidence emerged. So no it's not just a case of not informing customers, but the fact they outright lied!. Chinese watchdog talking about shady practises... Apple still deserves to catch a beat down though. I agree with your double-standard pun. China the worlds leader in using the most hacked versions of Windows XP and more. They never want to pay for anything. I think this should put Amperex on the line too. It is the Chinese that supplies batteries to Apple and others. Even Samsung uses them sometimes, but yet their batteries only had an issue once. But Samsung designed the battery with an unintended flaw and the OEM's simply made were they were asked. But when you make your OEM batteries and they can't withstand a power draw, then that is an issue. I am curious as to how many people who have owned any phone, ever have them suddenly power off with just 25% battery or less. Even when my Galaxy is down to just 1%, it seems to perform at full speed, with only the screen being dark and then finally it will die. Even toys and tools that I have that use rechargeable batteries, like my tools from Worx and my 2 drones, don't just all of a sudden shut off. They run pretty much at full power until they die. The drones will automatically only hover when the batter is down to 10% and then land when at 5%. Even with 20% battery power, that should be enough to power a phone for approximately an hour to 2 hours spending on what is being done. But the iPhone was just dying at 20%. That isn't a hardware issue, that is simply very cheap batteries that couldn't withstand the power draw and simply shut the phone down. You should be able to use your phone until the battery reaches 0%. Apple knew it was an issue and when people called they could have told them your battery needs replacing, but instead offered them no alternative other than to purchase a newer phone. Still have a few questions in connection to it all that I'd like to be addressed, taking into account not just the people mad they paid $79 dollars for a known issue now that people are paying $29: 1. How many people, feeling that their phone had slowed down on them, opted to upgrade the whole phone instead of replacing the battery? 2. Why does it seem as though, going by reports/stories, that batteries have degraded enough that the processor had to be throttled after only one year in many examples? It just makes it look like not just planned obsolescence, but a case of accelerated planned obsolescence. 1 - Millions did. 2 - Rechargable batteries have a maximum charge cycle. In the case of the iPhone, its about 500 cycles. But since the iPhone has been proven to have dismal battery life with medium to heavy usage, people probably used up those cycles because they had to charge the phone at least 2 times per day. Samsung's wall-huggers commercials were not far fetched. If you go to any Airport or Bus station, or anywhere where there is a charge station, most times you see more iPhone users charging vs ANY other brand. With so much charging, people simply degraded the battery faster. Apple A series is a very large chip, so thus it is more power hungry vs anything like the Exynos or SnapDragon. Many people had phones that would simply power down at 20% battery remaining. t basically guaranteed people upgraded every year who didn't have too, which means Apple made billions doing a shady practice with money they should have never gotten. Its not just planned Obsolescence, its pure evil by a company that has plenty money. And to charge $80 to replace a battery that cost them $5 or less and retails for $10 is pure greed. But none of the fans are condoning their action. Corporation already make millions and billions of dollars. They don't have to rip off customers on top of that. None of them, not just Apple.